Way before I had children, I had a wonderful loving cat. A golden tabby, Topaz loved me. He was gentle and kind. And filled a need that no one could fill. It was my mother-in-law, Lee’s, idea for us to get a kitten. I had infertility issues. And Topaz helped me get through a very difficult time. I loved him. And then we had children. Although, through the years we always had cats… right now we are on cats 3 and 5….they never quite had the significance of Topaz. I think because once you have children, you are caught up in so many events and dramas and activities. You love your pets, but your children come first. They are so demanding. Of course we – my husband and I– always had the belief that in a way the cats were much better behaved than our children. They never yelled at me or complained. They always gave me love. They purr, they chirp, they touch noses. In fact, they never ask for anything but for food, water and love. So as the years went on, and some of our beloved cats left this world, we always found another waif to bring home. Now we are back at the beginning. The children are gone. But the cats have stayed. Cats 3 and 5 provide me so much love and attention. Perhaps a bit more love and attention than Jay and I need, especially when they takeover ourbed. Cats on our pillows; cats on our heads; cats on our feet; cats wherever we are. Now that the weather is getting cold again, the warmth of the cats is much appreciated. But the ‘on the head’ cat stuff really should end. 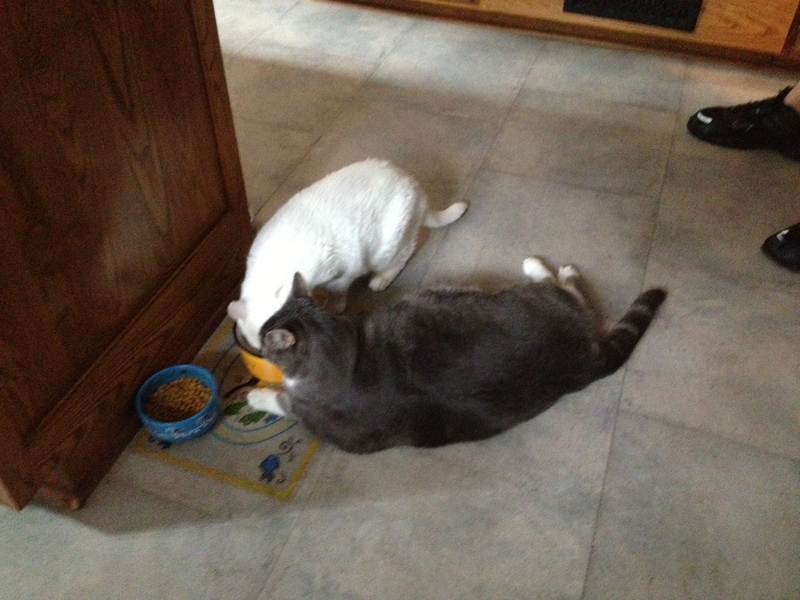 I will admit there is one area that our cats do misbehave…in the kitchen. 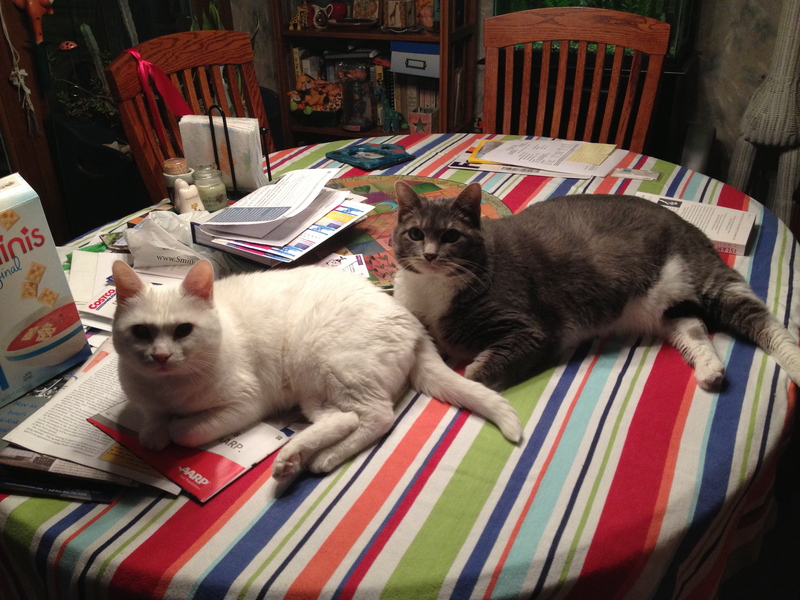 Cats on the table and on the counter, I know some people find that disgraceful. But in reality, even if I do chase them off, they will only go back on when I am not home. So why make them hypocrites. This way we all know…the cats like the sunshine on the table. They like the cool of the counters in the summer. 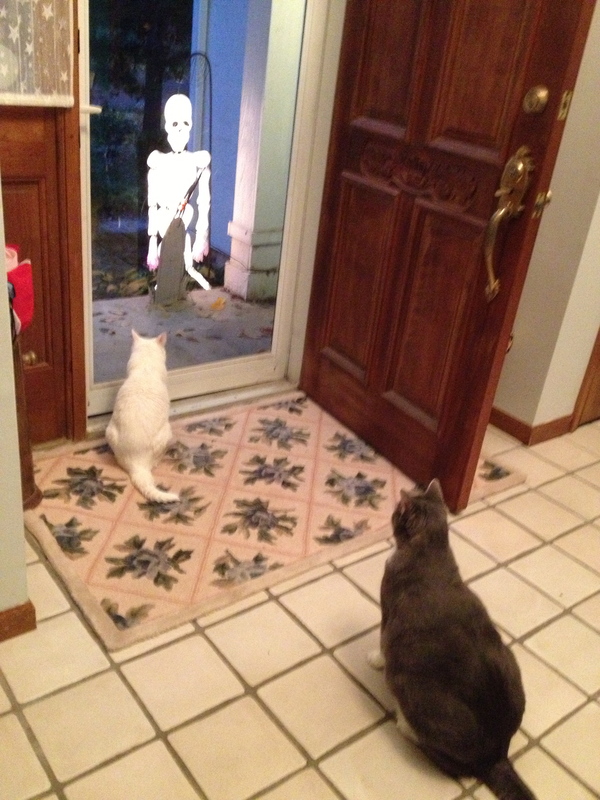 Our cats greet children on Halloween. They help me read and watch television. They help me learn to take big steps to get out of the shower. They entertain us. Whenever a package arrives, the box provides days of activity for our cats. Which in turns provides hours of entertainment for us. 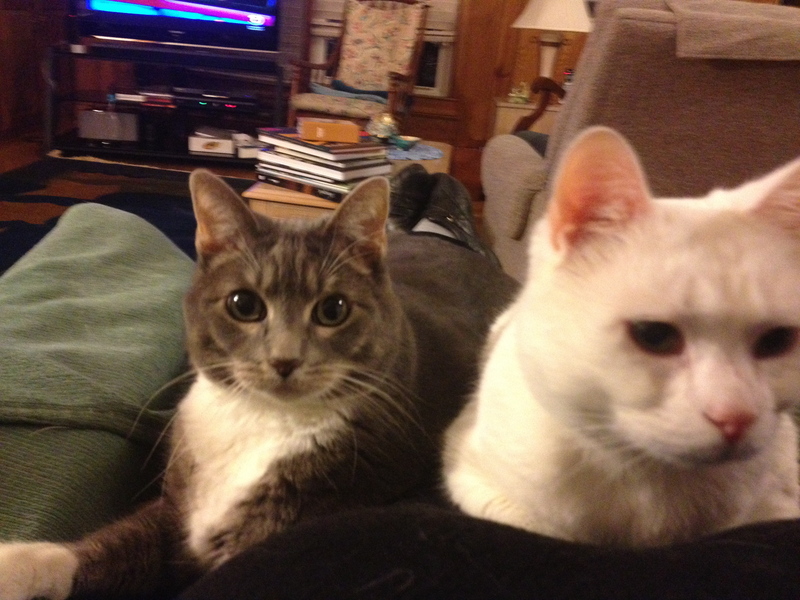 I think the empty nest syndrome would be so much worse for me if it were not for my cats. I did realize how silent the house would be without my children. I did not realize how much I would miss their hugs, their arguments and their presence. At least with my cats I still have someone to talk to and to hug. I hope my children realize how lucky they are that I have my cats…. I have always enjoyed your writings and especially this one warmed my heart.